Martin is a technology entrepreneur with extensive expertise in building and advising globally innovative, R&D-based companies. He is a senior policy-maker in areas of finance, innovation, and technology, with significant experience from top echelons of national and international policy-making. 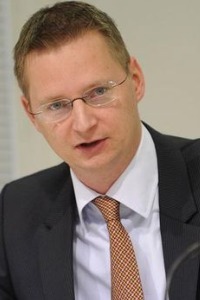 Formerly, he has worked with the Plenipotentiary for Knowledge Economy, the Government of Slovakia, where he played a key role in the introduction of major structural reforms, including a flat tax; he represented Slovakia in top level EU and Eurozone financial and economic policy coordination and crisis management during Greek crisis. He is the founder and former Chairman of Neulogy, the first major advisory and venture capital boutique in Central and Eastern Europe focusing on R&D, technology transfer, and tech start-ups. Previously, Martin was the Senior Director and Head of Europe at the World Economic Forum. Today, he is the Chief Strategy Officer at AeroMobil. Martin has a B.A. from Stanford University and an M.P.A. from Harvard’s Kennedy School. On the show, Martin spoke about how to develop a massive new product that is incredibly difficult – it’s a big enough undertaking to develop either a new car or a new plane, a combination of both is even more difficult than the sum of both! One of the most difficult challenges in developing a product like this is passing regulatory hurdles – Martin spoke about AeroMobil’s strategy during development, to make a flying car for the European regulations that are strict enough that doing so made the product more-or-less passing for other countries’ regulations pretty much everywhere except the United States.